Water and flood damage are some of the most difficult types of trauma your home can encounter. 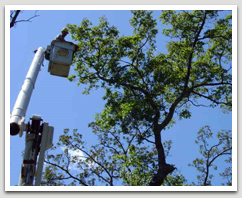 Unless treated as soon as possible, the danger for significant secondary damage goes up tremendously. This can result in various types of mold and bacterial growth, along with possible structural damage. 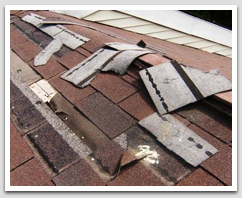 We are trained and certified to deal with these types of damages to ensure the best restoration treatment for your situation. We know the trauma caused by fire damage can be significant and devastating, creating loss and upheaval to your home and possessions. Along with charring, there can be smoke, soot, and water damage, which can be just as devastating as the fire itself. Smoke odor, and residue from soot, fire, and water, can remain for days after the damage is done, making clean-up more complex. Efficient and thorough clean-up and repair is of key importance in the restoration and rebuilding process. 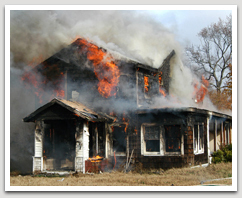 We have the knowledge and skills to restore your home to its pre-loss condition. As you make those important decisions in the process, we’ll work with you and your insurance company to smoothly help you transition through the process of renovation. 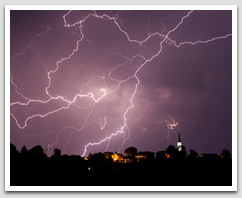 Speed is of importance when dealing with storm damaged homes or businesses. This can prevent further secondary damage. We are prepared and equipped to quickly respond to the need. When moisture is present in a warm environment, it creates a climate which is prime for the growth of mold. Mold reproduces through spores. As airborne spores land on moist surfaces, they begin to grow into mold, feeding off of organic material such as wood, paper, carpet, foods, and insulation, etc. 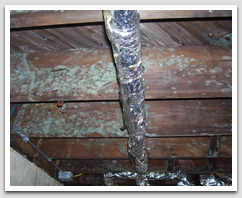 Over time, mold growth will cause damage and deterioration to your home. To effectively deal with mold issues, you must not only dry the affected area and treat the mold, but you must also deal with where the water and moisture came from, correcting the problem. We are qualified to handle the drying process and are equipped to deal with water extraction, drying, and dehumidification. 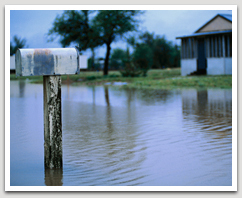 We deal with all types of water damages, from clean water, to sewage.